This bottle retails for $58, a thirteen-dollar premium over its 40% ABV 2013 predecessor that is actually pretty tame considering the other increases over the last half decade. Example: Glenfiddich 18 was $44 in 2011 (!!!! ), and is now $70-something at the same store. Yowch. There is a wild raging debate on the Internet about the actual source of Alexander Murray & Co.’s big-age, low-price malts. 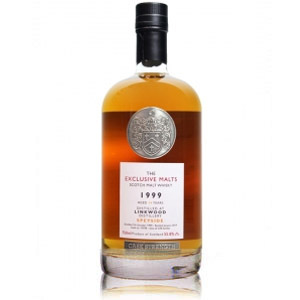 Some rumors suggest that the majority of the company’s barrels come from Tullibardine (a whisky chameleon of sorts), while the company has definitely bottled Macallan before, and is reported to have contracts with both Diageo and Edrington. 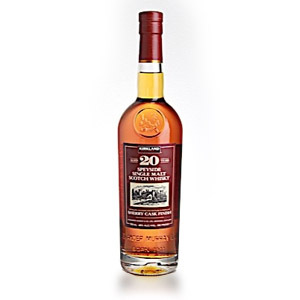 Rumors persist as well of Longmorn and Mortlach, and I swear I’ve tasted Alexander Murray juice that was the spitting image of a Mortlach in the past. As usual, though, there is no certainty about the provenance of this bottle, and isn’t that really half the fun, anyway? Aside from getting a 50% discount on 20 year-old malt, of course. Nose: Distinct dried fruit notes – fig, dried berries, fruitcake, etc. – overlay a musky, meaty (but not quite sulfurous) layer of malt. Caramel apple and hints of cocoa (stopping short of actual chocolate) complete the picture. This is somewhat limited in scope, but not objectionable, and the sherry is clear and present. Palate: Slightly syrupy body. The same fruits start things out, followed by a hotter-than-expected tongue burn for 46% ABV. Red vines, caramel, and old leather appear in sequence. A bit muddled, and not as sweet or fruity as I’d like. Finish: Dried figs again, and drying red-wine tannins. Mildly bitter, and vague. Fades out with aromatic cocktail bitters (gentian) and anise. With Water: A few drops of water appears to make a mess of the dried fruits – making some fresh and hiding the rest. Cherry, I think? The tongue burn does appear to be lessened, and the water adds a note of cinnamon. OK, I guess. Add the water only if you find the tongue burn annoying. 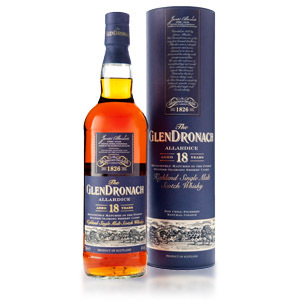 Overall: Not exactly a competitor for Macallan 18 or GlenDronach 18, but at $58 this delivers on its promise: Sherry-flavored malt with some age on it. There’s nothing stand-out about it (aside from the price), but you’re not likely to be too disappointed if you go in with that expectation. 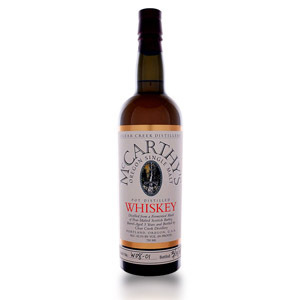 For the record, I think it’s a mediocre cask of Macallan, despite the initial meatiness (which would suggest Mortlach). Acquired: (750ml bottle) Costco, San Jose, CA, $58. 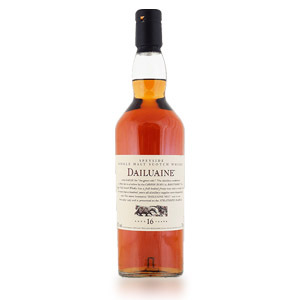 I have it on very good source that their 18 Highland Malt about 5-ish years ago was Dalwhinnie. 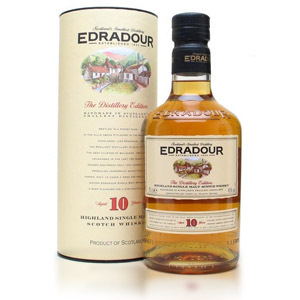 I think it’s damned drinkable, bordering on brilliant for the price especially within the context of today’s cost structure for “pedigreed” single malts. To the point, in fact, that I’m strongly considering buying it by the case! Thanks for reviewing it, I’m glad someone is doing that. Doing this did wonders for Balblair 21 year old.